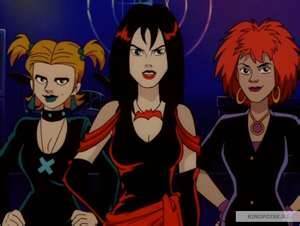 The next stop on our Halloween tour: Scooby-Doo and the Witch’s Ghost! This animated movie came out straight to DVD in 2001. Like most Scooby-Doo movies, this one revolves around a mystery. In this case, there is a witch’s ghost tormenting the citizens of Oak Haven, a sleepy little town where famed Horror writer Ben Ravencroft goes to write his books. 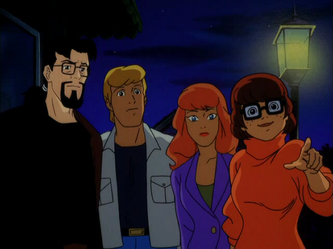 Ben Ravencroft runs into Scooby and the gang after they solve a mystery at a local history museum. Why it is a fantastic Adventure: This movie is one that I view every October to get me into the Halloween and Fall spirit. The town of Oak Haven has a picturesque New England Fall setting: brown leaves, barren trees, a small Main Street where everyone knows everyone, and even a re-creation of a Puritan village. If you live in parts of the world where the weather doesn’t change much and Fall doesn’t really happen, this is a great way to get yourself and the kids in the proper Fall mindset. 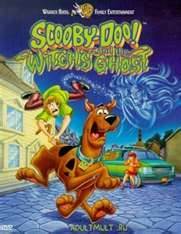 Overall, Scooby-Doo and the Witch’s Ghostis a great atmosphere setting movie with a fun mystery and a few teachable moments and imagination igniting ideas for your kids. Watch and get ready for Halloween! Available to purchase on DVD from your favorite retailer!